One of the most beautiful things about being a photographer in a beach town is getting to meet new people every day and taking their family beach photos. I am originally from Atlanta and growing up, we anticipated our week at the beach all year long. 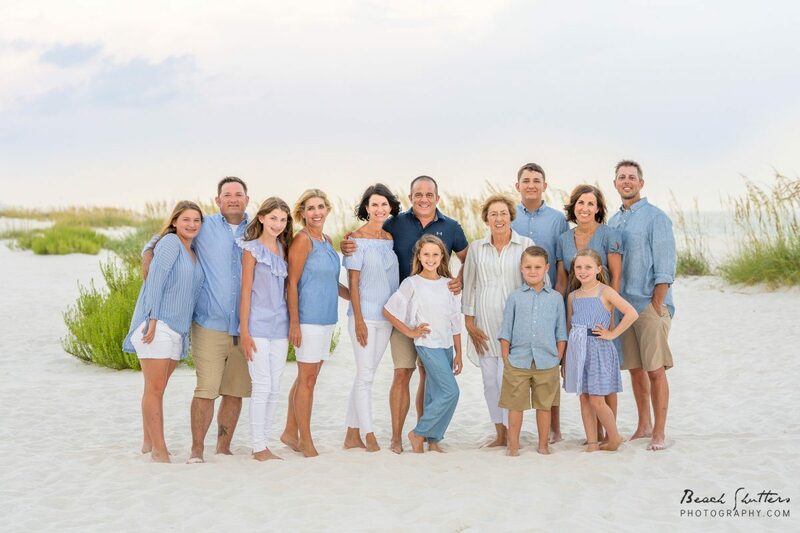 Therefore, I know how important your vacation is to you and how the family looks forward to being in Orange Beach and Gulf Shores all year long! This is my happy place, and I bet it is yours also! While Gulf Shores and Orange Beach are relatively small towns, they each have hundreds of thousands of visitors each year. There is a good reason for this. Alabama beaches are pristine. The water is clear and the sand is white, but even better, the atmosphere is family friendly. Bringing the kids to experience the sandy beaches and emerald waters will probably be their favorite childhood memories. 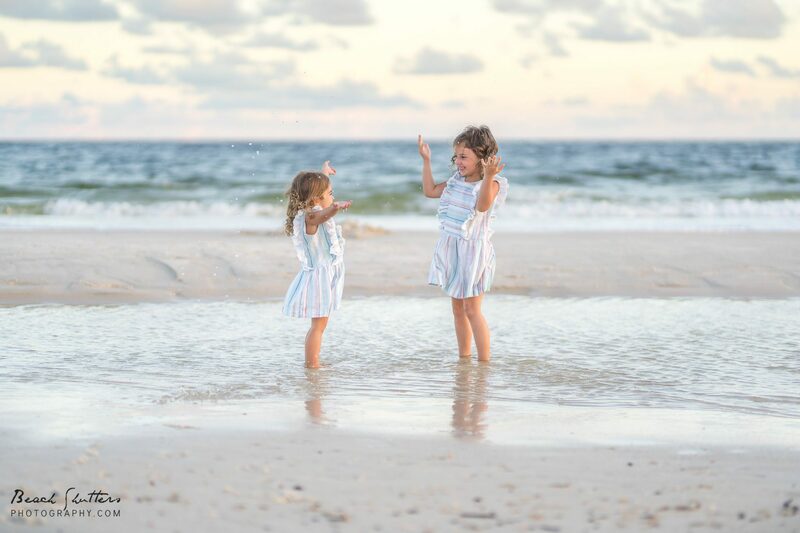 It is always a great idea to capture these moments with family beach photos! Sunrise photo sessions are Early and Beautiful! We are always looking for that storytelling, fairytale photo! Our photo sessions are full of action. There may be running, jumping and splashing involved. It is our goal to capture the excitement of vacation in your family beach photos. We prefer to keep our sessions light and whimsical capturing the unique personality of your crew. After all, the best part of vacation is letting loose and having fun! If you are looking for a relaxed photographer to take your family beach portraits, give us a shout. 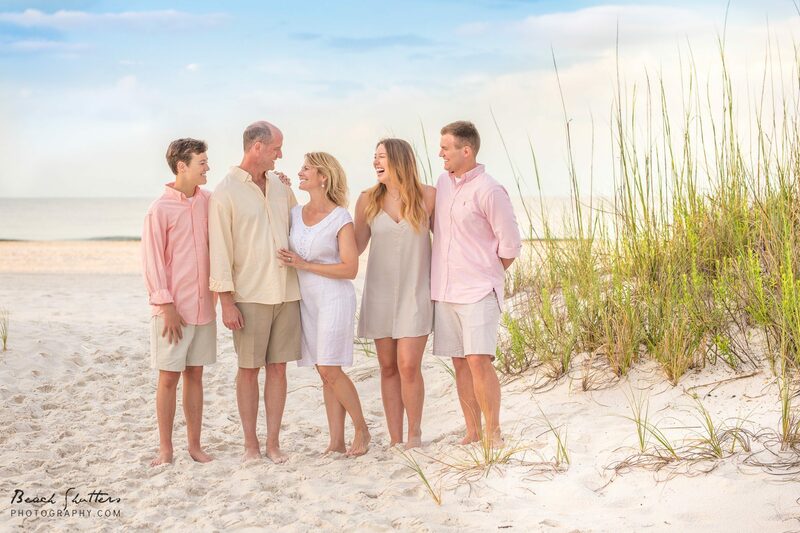 Beach Shutters photography specializes in family beach photos and we would love to be your vacation portrait photographer in Orange Beach & Gulf Shores! Booking is easy, just contact us via email, text or phone call. We would love to be a part of your Alabama beach vacation tradition! Thank you for visiting our post! 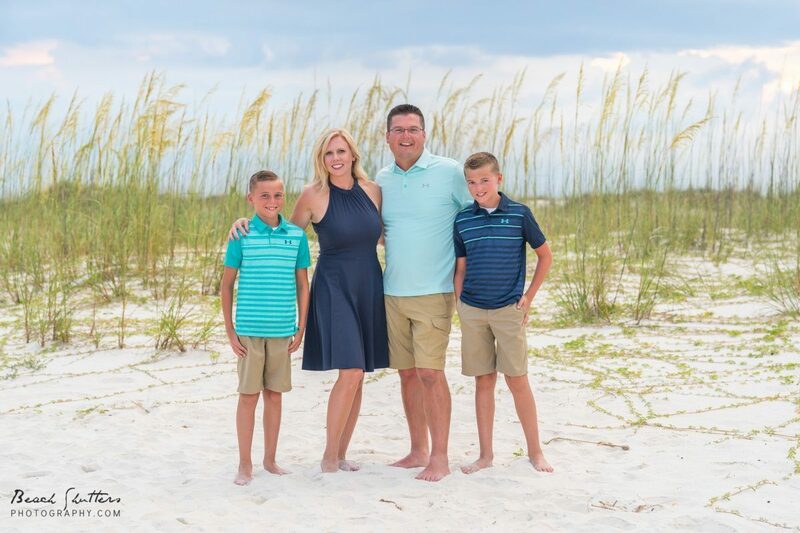 Some other tags that may have led you to our website are Family beach photos, Alabama beach portrait photographers, wedding photographer, Orange Beach photography, Gulf Shores photographer, senior portraits, real estate photographer and beach pictures in Orange Beach & Gulf Shores.